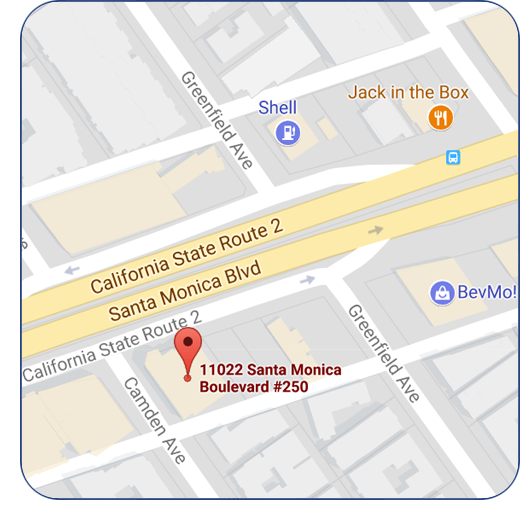 We are conveniently located in the heart of Beverly Hills, California. Visit Google Maps to map out and print your course to our office. Convenient street and metered parking are available in front of the building and on adjacent streets.